Kevin Lam, of Kevin Lam Photography, gave me permission to use his photo on this blog. 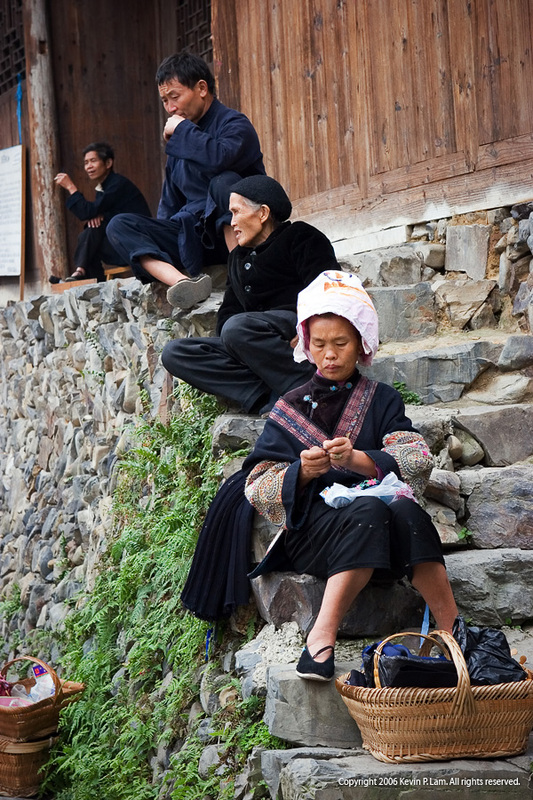 Miao [an ethnic minority in China] villagers, in Longde village, Guizhou province, China, 2006. I was so inspired by the photos I found for my last blog post (including the one above) that I created a new Flickr group: Beautiful Photos of Knitters and Yarn. I’ve collected a small group of photos of people knitting around the world, and I love seeing their different techniques, including wrapping yarn around their neck while knitting and long DPNs to make a sweater. Let me know if you see any good photos I should add to the pool!